Dove and Stellar Award nominated gospel crooner Earnest Pugh has just polished off his latest work of art – “Just Worship” (P-Man Music/Central South Distribution) – a specially priced Extended Play (EP) collection of praise and worship songs that will release on August 26, 2014. The set will be propelled by Pugh’s new radio single, a dynamic re-arrangement of Israel & New Breed’s classic tune “Alpha & Omega.” The soul-stirring paean is now making its way up the playlists of the leading gospel radio stations around the globe. Boasting production from Keith Williams, Michael Bereal, Cedric Thompson, Robert Ellis and Steve McCoy, this live set of seven songs flows as a continuous worship service that listeners can use to create an atmosphere of divine reverence wherever they may find themselves during the day. The set closes with a bonus recording of Pugh’s recent Top 20 radio smash “All Things Through Christ” featuring Bishop Rance Allen. The five-octave singer just recently wrapped a run of the “Ain’t Too Proud To Beg” stage play in Atlanta and he’s now preparing for a big production in the fall when he stars in legendary theatre director Mike Matthews’ new play “Danger at My Door” that opens during the Detroit Opera House’s Broadway series October 2-5. Pugh is also busy with his EPM Music Group label where he’s establishing the careers of recording artists such as Angel Davis, Keith Williams and Charles Butler & Trinity. 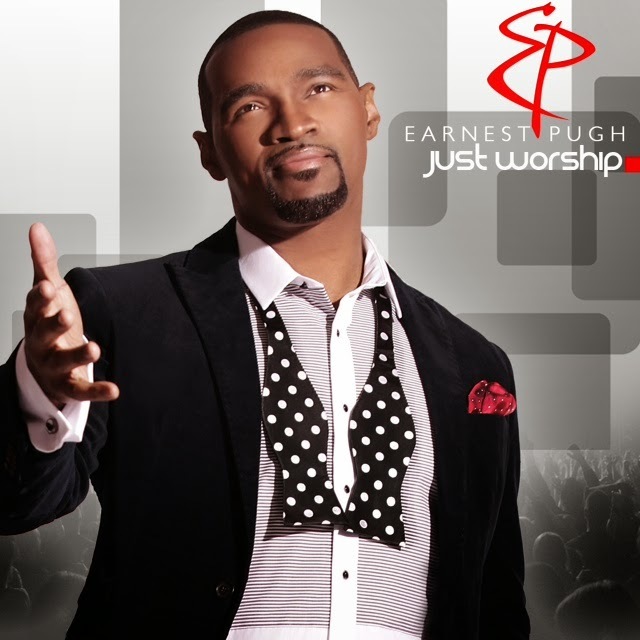 Visit the artist online at www.earnestpugh.com for more information on Earnest Pugh or his exciting artists.